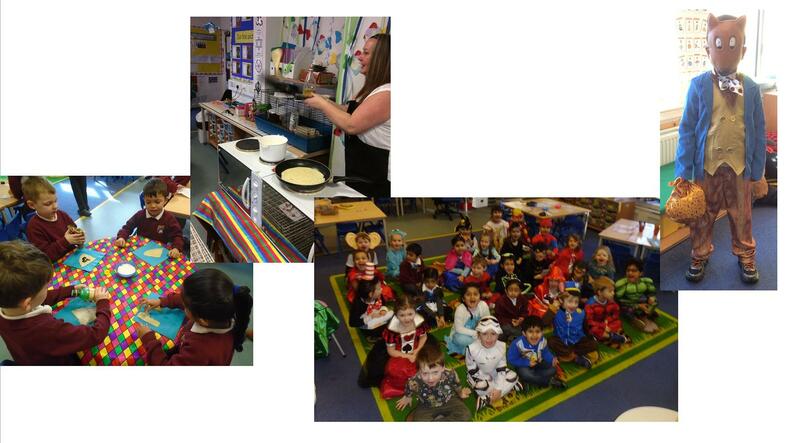 Chilcote Primary School: Pancake Day and World Book Day in Reception! On Tuesday 28th February 2017 we had a lovely morning tasting Miss Brown's delicious Pancakes! We talked about how to make them and what our favourite pancake toppings were. On Thursday 2nd March we had another wonderful day celebrating World Book Day! We got to dress up as our favourite story characters and talk to each other about what our favourite books were. It was lovely to read some of the story books that other children brought in; we can see why our friends love their chosen books so much!